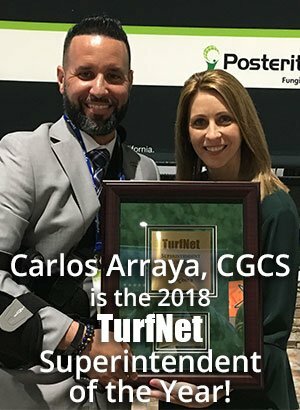 No big surprise since it was announced prior, but nonetheless TurfNet's own Hector Velazquez finally put his hands on the prize as he received the Edwin Budding Award from GCSAA. The Edwin Budding Award, named for the inventor of the reel lawn mower, is given annually to an equipment manager or related innovator, technician, educator or engineer who has made a significant impact in the golf and turf business. Hector (c) with Darren Davis, CGCS (l), outgoing president of GCSAA. Hector got his start in turf video when he was the equipment manager at Westwood Golf Club in Vienna, Virginia, under long-time TurfNet member Walter Montross, CGCS. (In fact, Hector got his job at Westwood after answering a job advertisement on TurfNet.com and relocating to Virginia from Michigan.) Montross alerted Peter McCormick at TurfNet and mentioned that he should check out a video Hector had made about converting a Sand Pro into a "Snow Pro", with a front-mounted V-blade. Conversations ensued and McCormick set Hector up in 2010 with his own platform on TurfNetTV. The rest is history, as they say. Just like Oprah, Madonna, Sting, Cher, and Prince, mention the name "Hector" and anybody in turf will know of whom you speak. 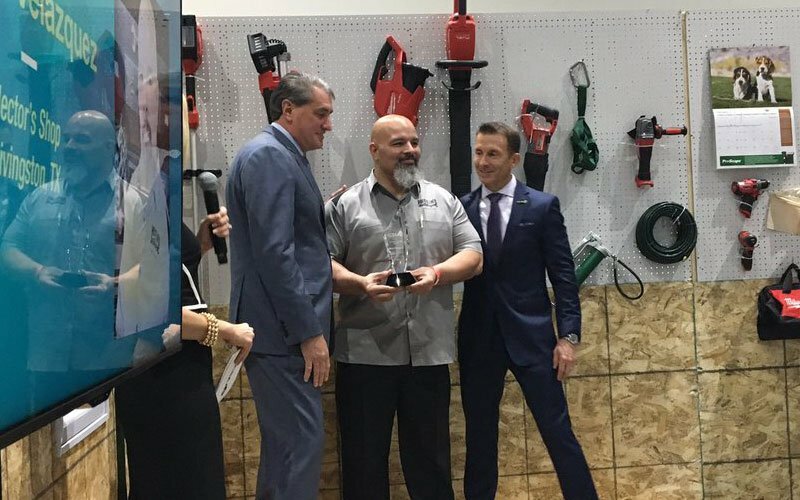 For GIS2019, Hector organized a 2400 square foot replica maintenance shop (Inside the Shop), designed to help superintendents make attainable improvements to their own shop, regardless of budgetary or space constraints. Hector with Trent Manning, winner of the Most Valuable Technician award. Manning created the plaque that Hector is holding. 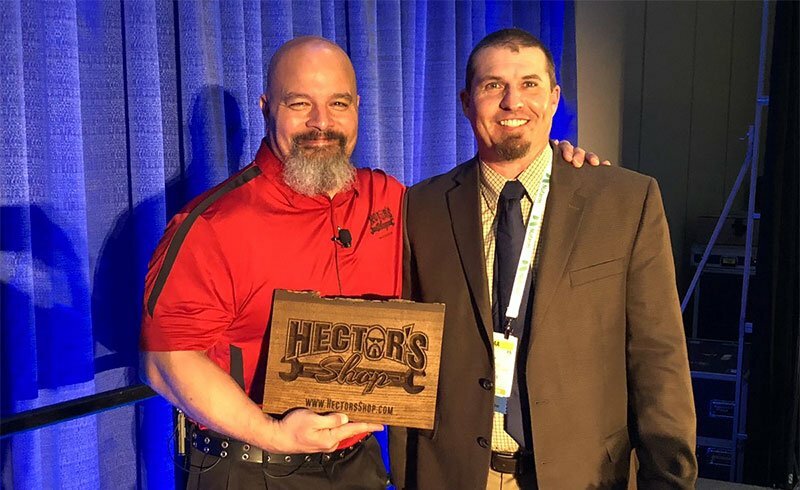 Hector will also present the Tactical Shop Series, mini-seminars that focus on creating a more efficient, safe, and cost-effective work environment for equipment shops of all shapes and sizes. Sponsors include Lock 'N Lube and Foley Company. TurfNet tips our cap to Hector for making a name for himself that has few equals in the turf business. Just like Oprah, Madonna, Sting, Cher, and Prince, mention the name "Hector" and anybody in turf will know of whom you speak. Not too many individuals can make that claim. Check out Hector's Shop videos on TurfNet.com here.